Have you ever wondered where the name for the polka dot pattern came from? What do polka and dots have to do with one another? Well, the pattern first became fashionable in Britain during the late nineteenth century, while at the same time polka music was rising in popularity, thus polka dots became the term for this pattern, having no real connection. 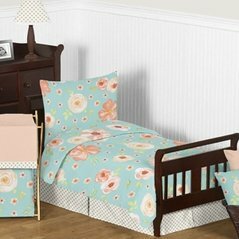 This timeless pattern is perfect to turn your baby�s room into a fun and adorable blue or pink polka dot nursery Beyond Bedding is proud to now offer polka dot baby bedding sets - available also for round crib bedding, polka dot baby bedding, kids and teen polka dot bedding! 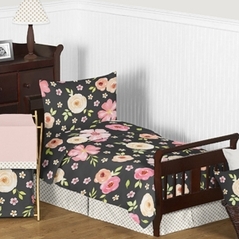 Manufactured by Sweet Jojo Designs, you will not find a nicer black and white polka dot crib bedding set for the price! Our entire line of polka dot baby bedding sets use high quality cotton to ensure your baby is comfortable and you are too. 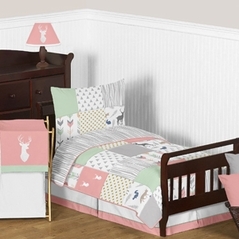 All of our modern kid�s polka dots bedding sets have matching accessories like crib mobiles, wall decor, valances and more so you can make a complete nursery set. 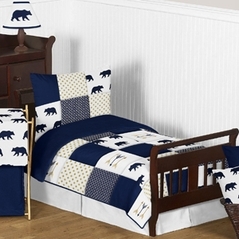 Be sure to check out our baby bedding accessories to complete your nursery decor. If you like our polka dot bedding make sure you take a look at other great bedding themes, such as our fire truck crib bedding set and the classic white lace baby bedding set.